Congratulations to my friend and fellow Indie author, Iris Chacon, for winning the Library Journal Indie e-Book Mystery Award for 2017. The winning entry, Finding Miranda, is a light-hearted read with enough plot twists to keep a mystery lover satisfied. 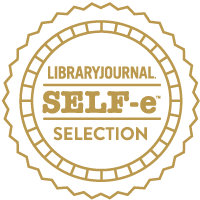 Please follow the link to Iris’s blog to read the Library Journal review of Finding Miranda. It is my custom to commemorate Remembrance Day and Veterans Day, usually by posting pictures of my family members who served during the two World Wars. This year, I have decided instead to share a passage from Steel My Soldiers’ Hearts, by Neil J. Stewart. Moe Lutsky, the man Andrews saved that day on Hill 195 was my father’s brother.